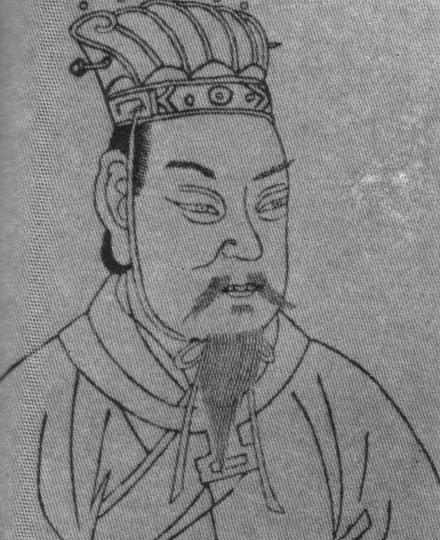 Cao Cao (A.D.155 - 220 March 15), alias: "Ji Li", alias: "Meng Germany", alias: "Aman", copious country Qiao county (now Anhui Province Hao state city) person. Chinese Eastern Han Dynasty last years strategist, statesman and poet. Cao Cao is born in the officials aristocratic family, father Cao Song is lofty originally is Xia Hou descendant, afterwards became Cao Teng adopted son. Cao Cao civil and military complete in both, 《Wei Slightly》 said he "the outstandingly capable, the hand shoots the bird, Some time in Nanpi, One day shoots down 63 wild birds". 《San Guo Zhi》 said him "the only then military outstanding person". A.D. 184 years, suppress in the war in Eastern Han Dynasty dynasty which Huang Jinjun revolts to build up, hold the post Du Ji Wei. Because suppresses the insurrectionary army to have the merit, holds the post of Ji Nan Xiang. Latter has held the post of Dong Jun Tai Shou, Du Wei, Dian Jun Jiao Wei and so on the duty. A.D. 189 years assassinate Minister Dong Zhuo to be defeated, become a fugitive. A.D. 192 years, officially set up own military bloc "Qing Zhou bing"
A.D. 196 years commanding the army enters national capital Luo Yang, "Controls the political situation using emperor". A.D. 200 years to the A.D. during 207 years, take to "Guan Du" campaign and so on war, defeat Yuan Shao and other establish a separatist regime the warlord, unify the northern China. Cao Cao dies in the A.D. 220 years on March 15, died at the age of 66 years old. A.D. 221 years eldest son Cao Pi sets up Wei, bestows an honorific posthumous title Cao Cao for Wei Wu Di. He is Wei's founder. The history book comments Cao Cao "to rule the country to be able the feudal official, the tumultuous times 奸雄", "the horizontal spear to compose a poem, solid hero." The lengthy historical novel "the Romance of the Three Kingdoms" inside, displays obviously censures Cao. But the later generation scholars believed that, this is intends to twist the fact, certainly not correctly appraises Cao Cao. Cao Cao only is uses, in military is flexible. He to the Eastern Han Dynasty last years north part of China's unification, the production restoration has the significant contribution. The body is poet's he, its poetry influence vigorous, the mind are general.